« Pesto! The Flavor of SO Many Possibilities. "The Holiday Survival Cooking and Eating Class exceeded my expectations. It was so enjoyable to learn new ideas for healthy snacks and meals, taste the delicious treats we created and leave with an inspired hope that this will be my healthiest holiday season yet! I am impressed with the knowledge and care that Robin (and Wendy from In the Kitchen) both possess and I look forward to taking more classes in the future. Thanks again!" --Rose M. “What a wonderful, yummy class! Not only did we participate in creating several easy-to-make, delicious, nourishing dishes for the holidays and every day, we also learned strategies for surviving and enjoying the upcoming holiday season. Both Robin & Wendy were delightful and imparted their cooking and eating knowledge with love, humor, and enthusiasm. 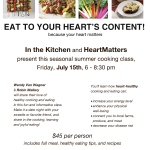 I highly recommend their classes to anyone who is interested in developing a better way to look at food, using thoughtfulness with mindfulness to learn some very valuable strategies for eating any time of the year!” --CAM “I found the class delightful with great ideas for the holidays. 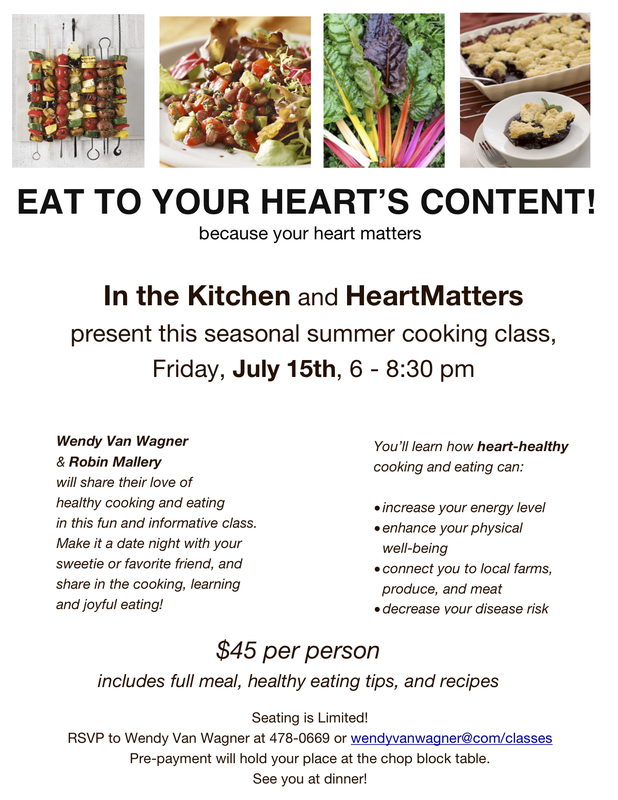 In the Kitchen is a warm and welcoming place and you and Wendy were great teaching collaborators. Good new recipes. I appreciate your healthy eating information. I recommend this class to anyone wanting to enjoy the holidays without stressing over food. Actually, the information isn’t just for the holidays. I want to stay healthy all year and eat well.” --Pat B. 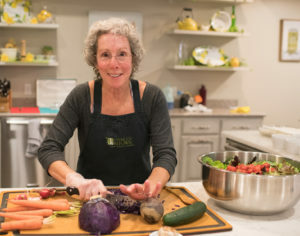 "I’ve participated in several classes at In the Kitchen, enjoyed them all immensely, but it is always a special treat when Wendy teaches a class. The recipes offered in The Holiday Survival class were easy to make and so delicious. And what a plus to have Robin co-teach the The Holiday Survival class with Wendy. Thank you, Robin, for all your great information on healthy eating, which was delivered so professionally, dovetailing beautifully into Wendy’s presentation. Hope you two team up again for more classes of scrumptious, healthy recipes. What a fun evening!!" --Carol B. _______________ I love this positive feedback! How gratifying it is to touch the lives of others in a meaningful way…and to be able to do so around a topic that is so dear to me, is just the icing on the cake (right—pun intended!). Wendy Van Wagner and I will continue to offer seasonal cooking classes in addition to the occasional specialty class…stay tuned!